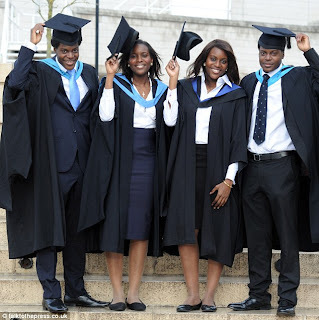 Graduating from university is normally an occasion for a family get-together. And this was certainly a big celebration for the Ogunsanya quadruplets who were handed their well-deserved degrees from the same university on the same day. k University with Master Degrees. And there was not a jot of sibling rivalry as all four have landed jobs in the City already. 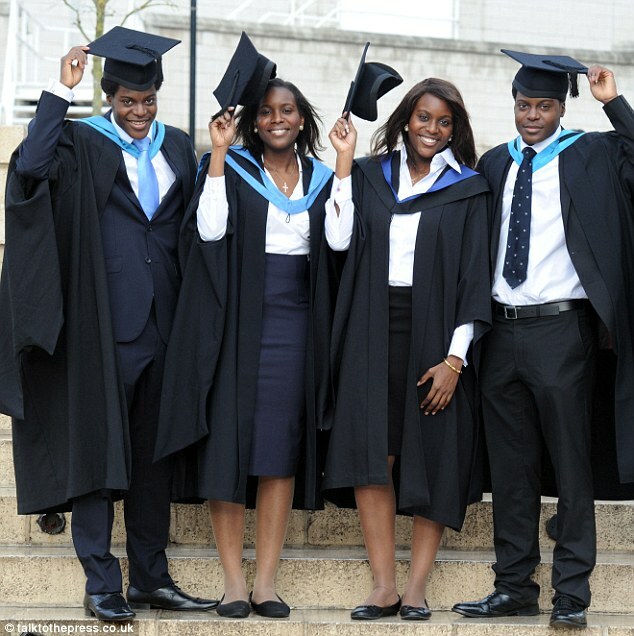 Toks graduated with anMEng in manufacturing and engineering and Temi, Tobi and Tolu all gained an MSC in management from Warwick Business School. 'The fact we all chose to study at the University of Warwick was a natural decision,' says Tobi, who thinks a bit of sibling rivalry is essential for success. 'We are a close-knit family and were all attracted by the strength of the courses on offer. The quads, originally from Lagos, Nigeria, have been living in the UK since the age of seven when they began boarding schools. Since leaving university they have all landed top city jobs. Toks is due to start working for RBS in London later this year, Temi, who interned at Santander over the summer, has been offered a permanent position with the bank, and Tolu is due to start working for one of the 'Big 4' accountancy firms in the City.